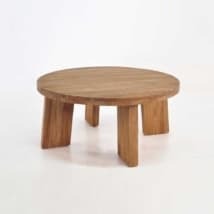 The Billi Coffee Table is unique and intriguing with its geometrical tabletop and joined legs. 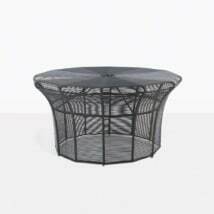 It is different than most traditional coffee tables, making it more interesting and exciting and perfect for modern living outdoors or indoors. 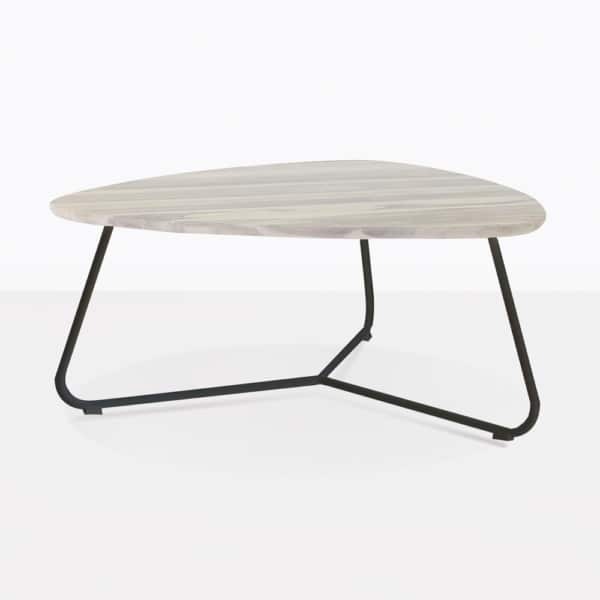 This cool looking coffee table is made with organic reclaimed teak and outdoor steel legs for style and stability. 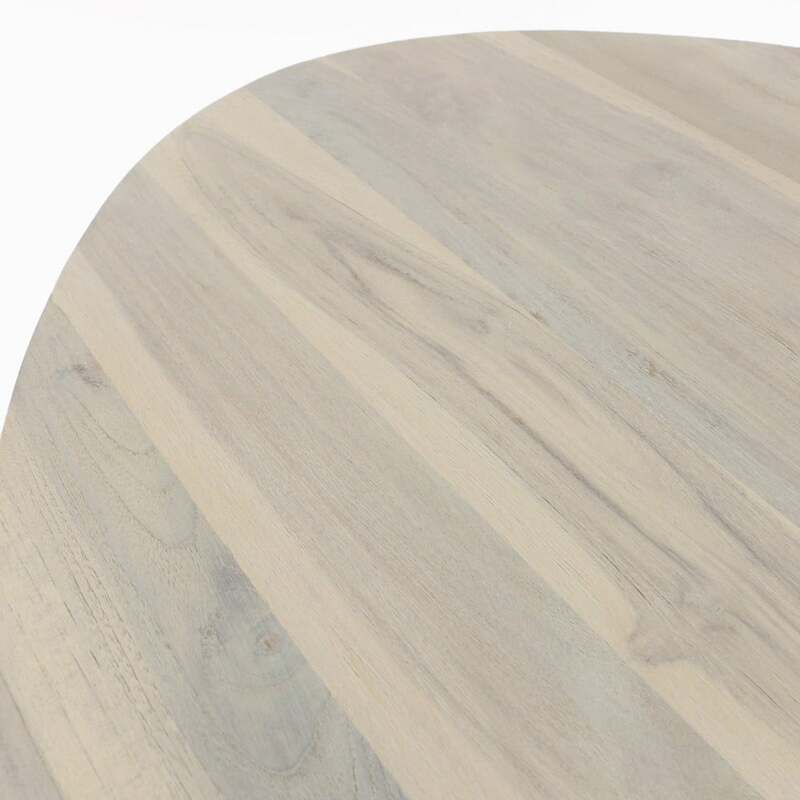 The reclaimed teak tabletop is finished with a driftwood wash to make it look like it has a patina, this is a result designers and clever people who love too create living spaces with teak. 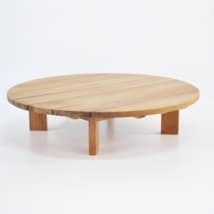 Pair the Billi coffee table with the many other pieces we have, to make a collage of tables as they are small enough to do so. Create an impressive arrangement with different heights and shapes using them together as one large coffee table for your outdoor sectional deep seating. 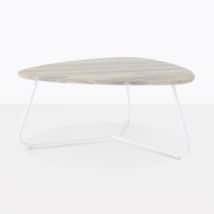 The Billi tables are effortless and innovative. Impress family and friends with your creativity. Teak Warehouse has many small pieces in a wide variety of materials to add to your outdoor or indoor room. Visit and shop our showroom, shop online, or call us today to place your order. We offer nationwide shipping.